Do you have material that you would like to see in print? An exhibition catalog, a family history, your sketches, poems, stories, favorite recipes, memories of childhood, your garden, your pets.....the possibilities are endless! You may have considered the cost-free option of self-publishing, but prefer to avoid the do-it-yourself work involved. 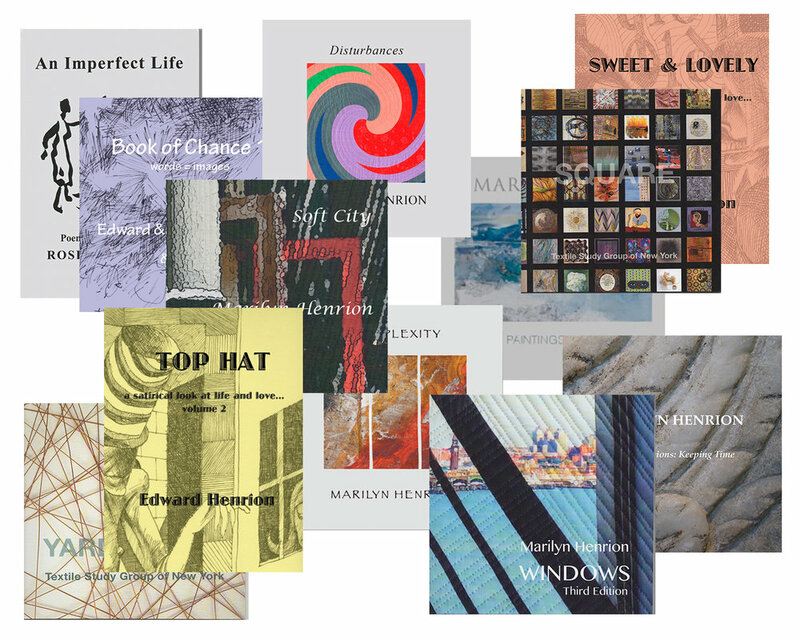 I am pleased to announce that I am available to help you achieve your dream, totally hassle-free..
As a Cooper Union graduate with a background in graphic design, and an exhibiting artist for over 25 years, I have successfully produced numerous exhibition catalogs and books. They range from single-show publications to a 190 page book of poems and drawings. After an initial (free) consultation, I will take it from there, handling all aspects of design and production through to final publication! Click the navigation tabs for details.